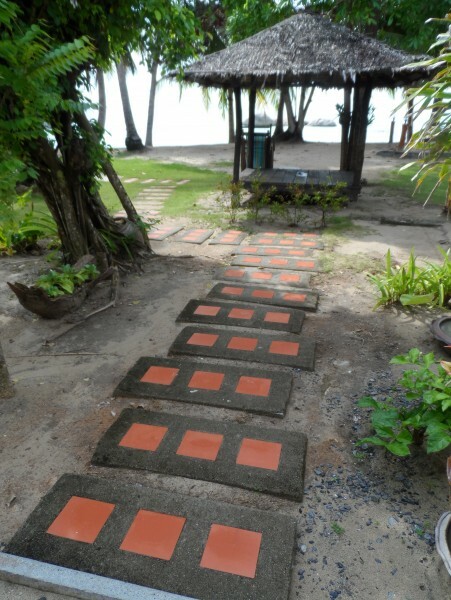 Sea Scene Resort is located on a quiet and calm beach known as the “Aow Plaay Leam”, the west coast of Kho Phangan. The small cozy resort, with only 22 bungalows, is surrounded in the tropical atmosphere, ideally suited for the simple and natural relaxed getaway for a peaceful holiday. Spend your days lounging on the unspoiled beach with cool sea breezes. Experience the spectacular sunset view from the beach or your bungalow’s balcony. Enjoin your dream holiday and relaxing in an unspoiled environment. Only 5 minutes drive from the ferry at “Thong Sala” town. It’s easy to go to the ferry, town or 30 minutes to Had Rin Beach (Full moon party) by local taxi from the main road behind. If you found no room available for period you want to book. It may be because that period has a minimum of 2 or 3 nights stay. Try to search for 2 or 3 nights stay, you will see the available room. 10% discount for stayin 3 night from 4 -12 August 2018. Please enter promotion code 290718 when make the booking.